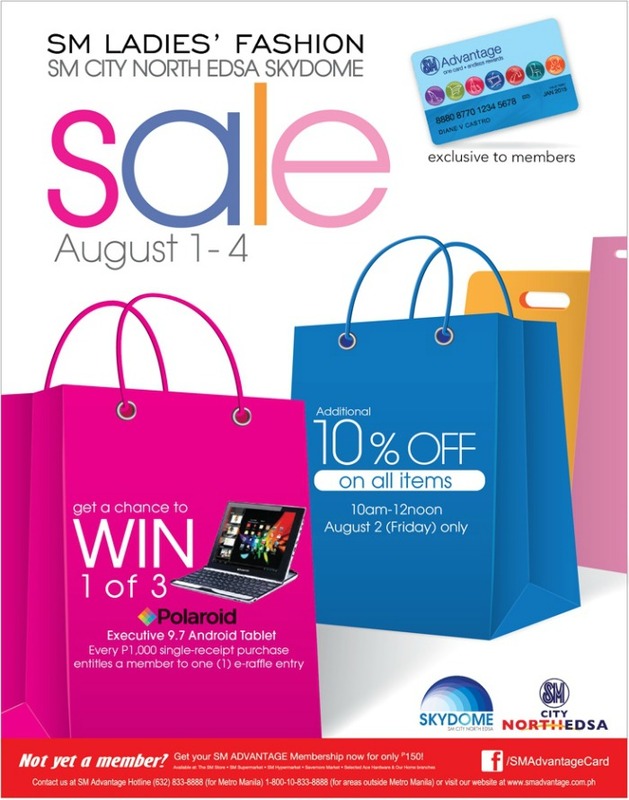 Great news for you tonight, SM Ladies Fashion just got more affordable with a HUGE SALE that's happening this August 1-4, 2013 at SM North Edsa. Enjoy big discounts on your favorite brands plus an additional 10% discount for all SM Advantage card holders on August 2(Friday) from 10am - 12noon. 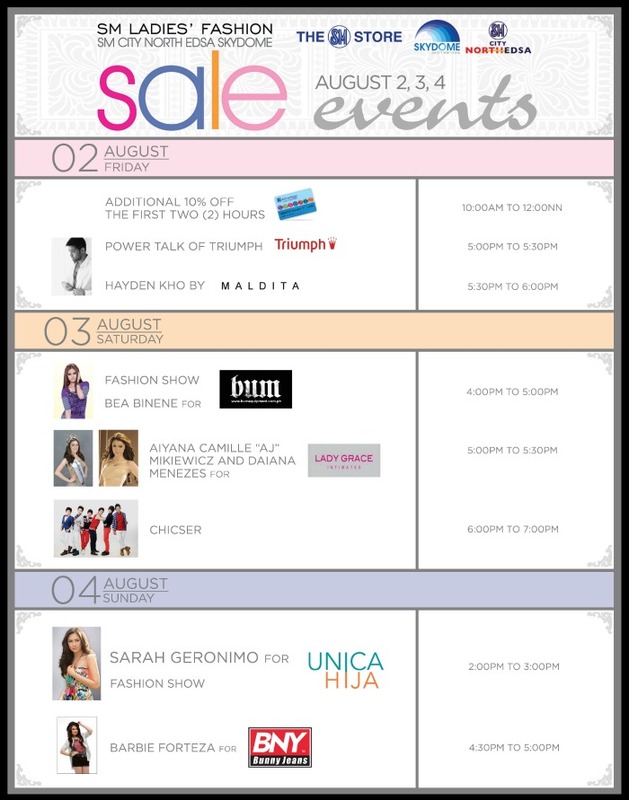 The SM Ladies Fashion North Edsa Sale will also feature lots of aboslutely FREE fashion shows and workshops at the Skydome for everyone to enjoy. Please see poster above for schedule and complete details.